AirAsia intends to develop a new hub in Indonesia’s West Nusa Tenggara province which can potentially help boost tourist arrivals to Lombok. This follows a series of post-earthquake recovery discussions and helps to realise the Indonesian government’s sustainable tourism agenda to develop “10 New Balis”. 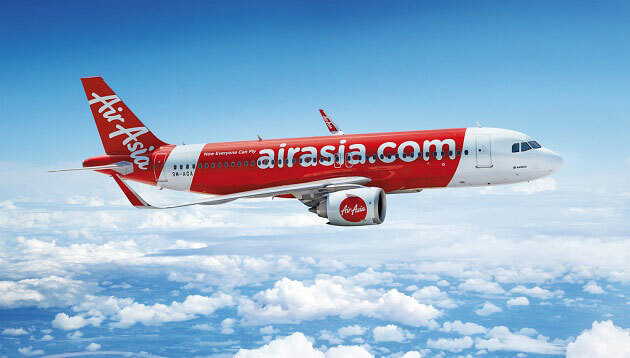 As part of AirAsia’s commitment to the communities of West Nusa Tengarra, the airline is also in discussions to develop sustainable tourism initiatives. Meanwhile, the airline’s Indonesian affiliate is expected to base two Airbus A320 aircraft in Lombok, with plans to double existing frequency to Kuala Lumpur in Malaysia, as well as services to Perth, Yogyakarta and Bali. Group CEO Tony Fernandes said the airline “will accelerate” post-earthquake recovery efforts to support the communities of West Nusa Tenggara and the people of Lombok. “The past year has been a very sad and challenging time for the people of Lombok, including the local tourism industry which has suffered as a result of the recent earthquakes. To be able to say that help is on its way is a great thing,” Fernandes said. He added that in the next few months, AirAsia will be working with airports and government authorities to turn Lombok into our newest hub in Indonesia, making this commitment a reality. Meanwhile, AirAsia Indonesia CEO Dendy Kurniawan said that as an idyllic destination, Lombok has “so much” potential. “We know that when we combine our resources and work with the tourism industry on marketing and public relations initiatives, we’re able to expand the market and drive greater demand for destination Lombok,” he added. Singapore-based VICE APAC CEO Hosi Simon shared a number of announcements for the youth media company in the region, highlighted b..
US-based business and financial news network CNBC today announces the launch of a new technology podcast Beyond the Valley. ..
Marketing Excellence Awards 2015: Did you make the cut?